I’m actually dreading the start of the spring semester so much that I pretty much mopped around all weekend long about having to go back to school today! It’s been SO nice not having to study and hustle on the piles of unfinished assignments the past few weeks! Rants aside, it’s almost February! Which means that Valentine’s Day is almost here, ahh! Have you gotten a Valentine’s Day gift for your man yet? 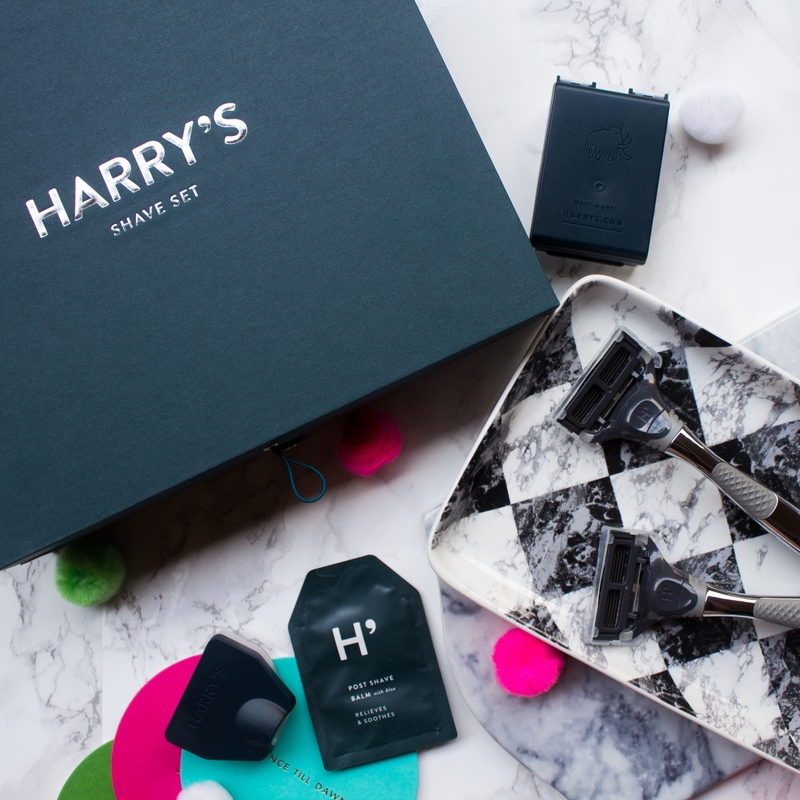 I found the perrrrrfect personalized Valentine’s Day gift for men that I just had to share with all of you marblelous babes: Harry’s Winston Shave Set! Now, I know you’re probably wriggling your nose and thinking what an “eh” gift that would make for Valentine’s Day, but you actually have the ability to personalize this shave set with engraving. YES, you read that right! Your man can own his very own engraved razor!! I don’t know about you, but I love anything that is personalized with my name or initials on it! It just makes the item that much more unique and gives you the ultimate personalized experience. 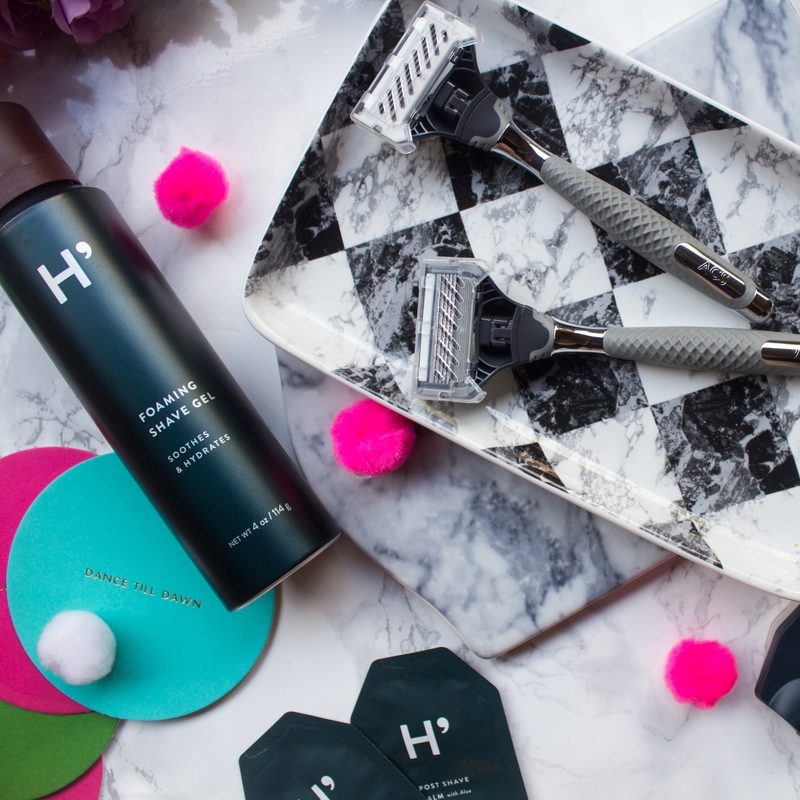 Harry’s Winston Shave Set includes your choice of foaming shave gel or shave cream, three German engineered blade cartridges, a travel blade cover, and the Winston razor handle. The Winston shave set costs $25. If you would like to personalize your shaving experience with an engraved razor, it costs an additional $15 and includes up to three engraved letters. For my boyfriend’s engraved razor, I chose to have the letters “VIC” (short for Victor) engraved. He was SO excited to see his name on the razor handle and there were several “oohs” and “ahhs” uttered! haha As for my engraved razor, I chose to have my initials “ACS” engraved on it! The Winston razor handle is absolutely GORGEOUS. It is made of die-cast zinc and polished chrome which makes it SO sleek-looking. I chose the foaming shave gel over the shave cream and absolutely LOVE how refreshing the scent is! The scent is almost like a cross between eucalyptus and peppermint! My boyfriend loves the scent, too! 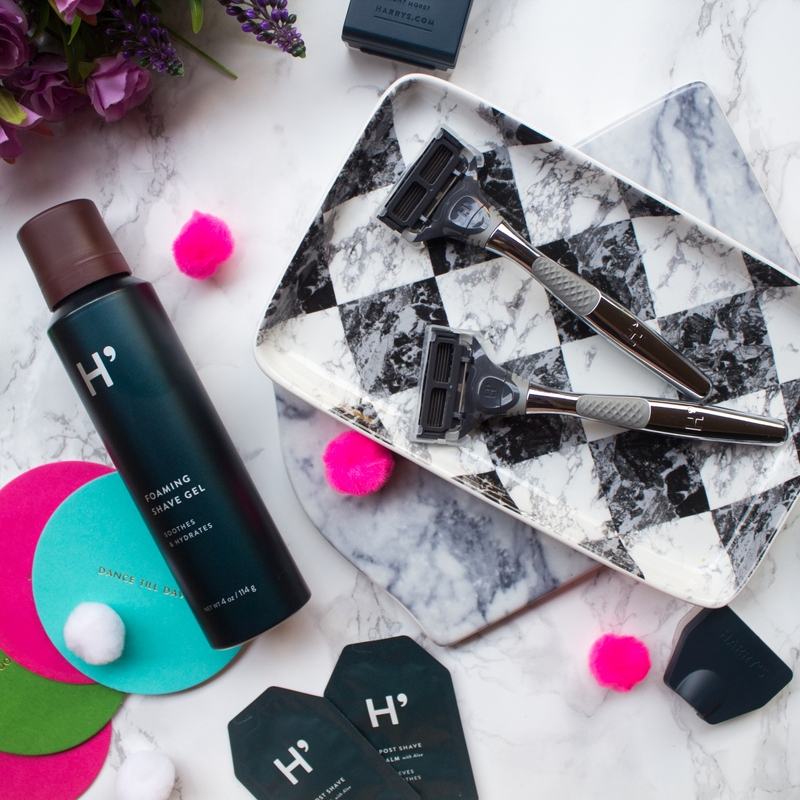 Although Harry’s is marketed towards men, I don’t see why women can’t use these shave sets, too! Often times, women end up paying the pink tax for almost the same personal care products as men. The only difference is that women are paying a premium for products that are marketed for women, just because it looks more feminine or female-friendly. If you’re interested in purchasing your very own engraved razor shave set for $40, you can get it here! If you want to get a feel of the razor handles and cartridges in person before buying, Harry’s can also be found in your local Target or online at Target! However, the Winston set is currently not available for purchase at Target. 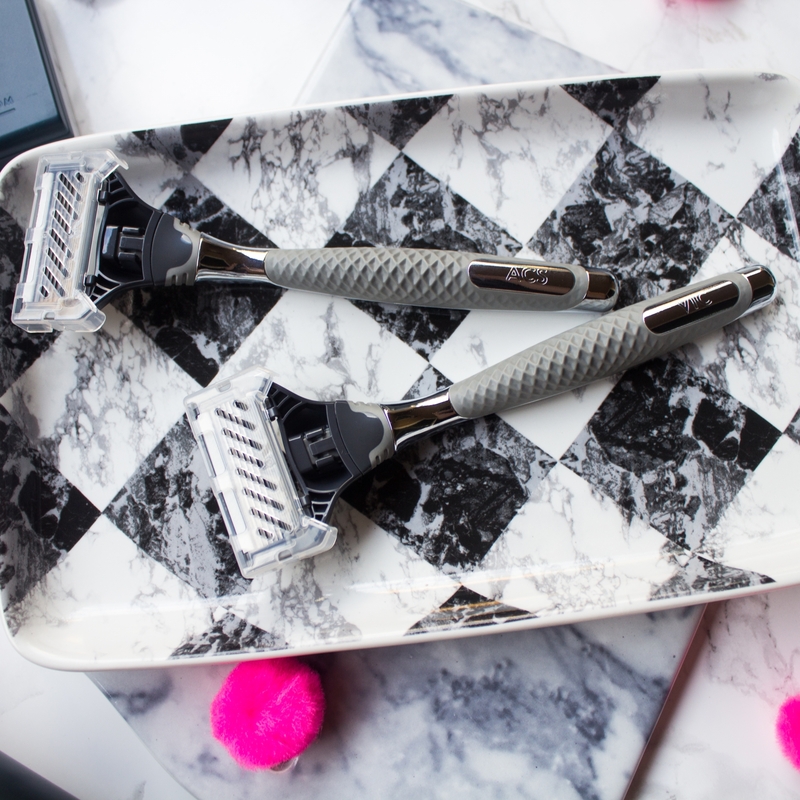 What do you think about the idea of your very own engraved razor? Have you gotten a Valentine’s Day gift for your special someone yet? Disclosure: I was not compensated for this post; however, I did receive these Winston Shave Sets from Harry's for my review. All opinions are my own and not influenced in any way. I find men really hard to buy for! This looks like a fabulous gift and I love the personalised touch!! My hubby would love something like this! Thank you for sharing! What a great and unique gift idea!! I’m constantly trying to think of fun/clever presents to buy for my hubby and this is perfect! This is such a thoughtful gift! This is a wonderful gift idea!! Looks like a very nice razor. I know my husband would love it. I’ve seen those shave sets at Target and wondered if they were any good! Clever idea! This is such a great idea! My husband would love it! This is such a genius gift idea! Definitely considering that for my boyfriend. Also, loving that argyle marble tray. This razor looks so cool what a great idea!! You are definitely right about paying more for a women’s product when it’s exactly the same and that’s super frustrating. This is a great idea and so fun that you can engrave it! I haven’t had a chance to grab a gift for my fiance yet (: But this is definitely added to the list! Such a classic gift that I’m sure he’ll cherish forever. 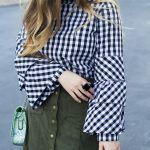 this is such a unique and special gift idea! What a great idea for a gift! My hubby would love it! Wow! 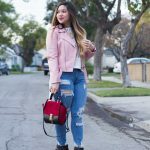 Perfect Personalized Valentines Gifts for Boyfriend. 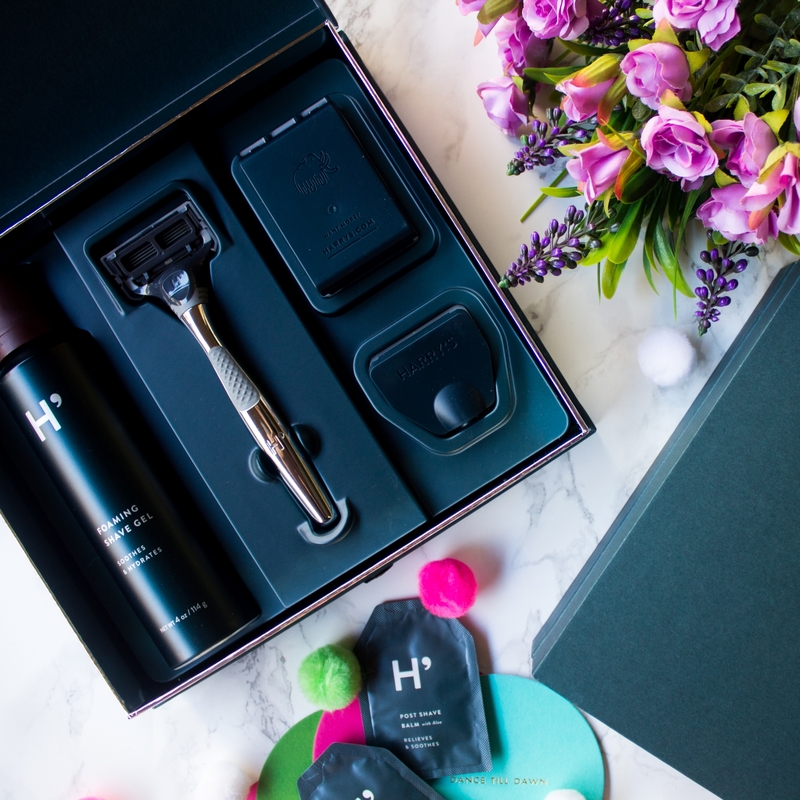 Personalized Shaving Set is one of the useful gifts guys look for. Thank you for sharing this idea.